Causa Artium brings you into the inner workings of all the arts: music, literature, the visual arts, drama, cinema, performance art, dance, poetry and more. Today, people "in the arts scene" dash from one of a myriad of art events to another. But the entertainment is fleeting—a recent study at the Louvre, in which visitors were found to spend all of five seconds, on average, with a single artwork, is all too telling a sign of the times. But art does not live as a check-list of things to be glanced at and passed by. 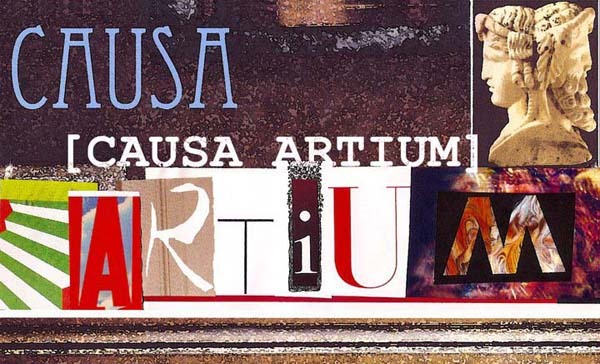 Causa Artium works to return to us the gift of a genuine connection with a work of art, of depth rather than breadth, of active, curious and skillful engagement with the constructs of creative human minds. Causa Artium organizes events, public art projects and happenings (such as The Festival of Russian Arts, What Is(n't) Art, Histories, Brands & Illusions, The Urban Paradise) that open the inner workings of artworks to our audiences. We also put the spotlight on art worthy of special attention (R+R, Markson/Lowry, BookArt), bring little-known art to light (The New Russian Literature or Nikolai Makarov-Contemporary Primitivist) and illuminate the contexts without which art cannot be understood (R+R). Causa Artium also promotes the more profound academic investigation of art and artistry through conferences, research projects, university talks, and more (Oral History of Russian Nonconformism). All Causa Artium projects are enhanced by enlightening and practically useful conversations with and talks by artists and experts, by audio recordings and visual projections, by catalogues, interviews and articles, and through many other means of providing our audiences with the tools to access what artworks have to offer, to penetrate into what makes them tick. Causa Artium sees an artwork as a weaving together of parts to make a complex and coherent greater whole. And as the most sophisticated of communicative acts, artworks call each viewer to invest efforts of mind and spirit to follow its weavings and unriddle its meanings. It is this process, where we engage that single work so deeply that our interest grows with our understanding, that is of the essence. Only when we do this can artworks be truly said to live. Causa Artium has a vision of a world where more lives are enriched by this sort of human, in the highest sense of the word, interaction.